Psychic Tarot Readings Via Phone & Internet: 01/18/16 Sandy's Psychic Tarot Card Reading for Today! 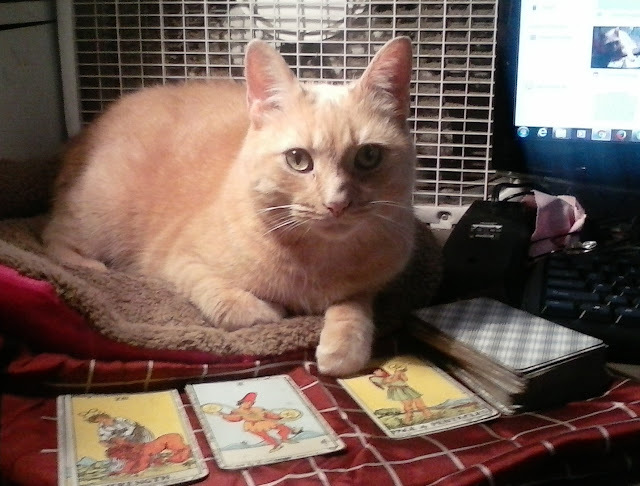 01/18/16 Sandy's Psychic Tarot Card Reading for Today! Second Card - Two of Pentacles - Jupiter in Capricorn - Earth - The Juggler, you may have a lot on your plate today. Don't let multi-tasking and handling more than one situation at a time overwhelm you and stress you out today. Try to maintain a positive outlook. Third Card - Page of Pentacles - Earth of Earth - Good news about money! Communication and new ideas will help your business situation.